Alyson Genovese is GRI's Director of Regional Hub: United States and Canada. GRI is an international independent organization that helps businesses, governments and other organizations understand and communicate the impact of their operations on critical sustainability issues such as climate change, human rights, corruption and many others. With thousands of reporters in over 90 countries, GRI provides the world's most trusted and widely used standards for sustainability reporting and disclosure. Alyson leads engagement with GRI's North American network of sustainability reporting organizations, nonprofits, academic institutions, and investment organizations. This includes management of GRI's GOLD Community network and all GRI-led programming in North America. Ms. Genovese is also responsible for raising awareness about GRI's work in the US and Canada. Alyson is an accomplished professional in the corporate and nonprofit sectors with more than 20 years of experience in corporate social responsibility, public affairs, corporate citizenship, sustainability communications and stakeholder engagement. 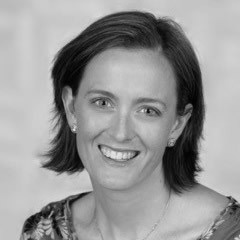 Alyson has worked as an internal executive, a freelance consultant and a trusted advisor.